Apr 10-17: #FreeBresha Week of Action! Bresha Meadows’ next court hearing is scheduled for April 17, 2017 has been rescheduled to May 8th. Bresha is still incarcerated and facing serious charges for defending herself and her family against deadly abuse. Please continue to share the petition demanding her immediate release. 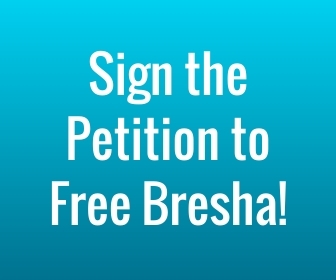 We are asking supporters to organize teach-ins to #FreeBresha during the week of April 10th-April 17th to raise awareness about connections between sexual violence and criminalization. Here is a powerful curriculum you can use for teach-ins. 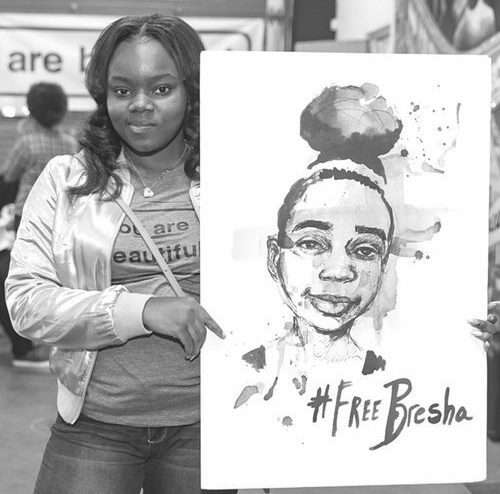 Please send us photos from your teach-ins and we will publicize actions across the country to #FreeBresha and decriminalize survival (freebreshameadows@gmail.com). Post #FreeBresha posters in your community, campus, organization, local storefronts, place of worship, etc. Since April is sexual assault awareness month, we want to call attention to criminalization itself as sexual violence. People who are incarcerated are subjected to mandatory body searches. Their bodily integrity is disrespected by prison authorities. Many incarcerated people are also sexually assaulted in prisons, jails, detention centers, and mental health detention. By definition then, anyone who is incarcerated is subject to sexual violence. Bresha’s confinement is an additional form of abuse on top of the abuse she suffered at home. You can use the following poetry guides that include poems about sexual violence as part of your teach-ins: No Selves To Defend & Giving Name to the Nameless. Please join us for a twitter power hour on April 17th at 10am PT/12pm CT/1pm ET. Community members in Ohio will now rally to #FreeBresha outside Trumbull County Family Court on May 8th. Check www.freebresha.com for more details coming soon. Thank you for your continued support to raise the profile on Bresha’s case. Please continue to demand her freedom and the freedom of incarcerated survivors of domestic and sexual violence nationwide. PHOTOS FROM APR 11-17 WEEK OF ACTION!